Today we will discuss about single point cutting tool geometry and how to designate it. A single point cutting tool is widely used in metal cutting industries for forming required shape. It is used on lathe and shaper machining for performing operation like turning, facing, chamfering, boring shaping etc. This cutting tool has a single cutting point which cut the work piece by rubbing over it. Today we will learn about geometry of this tool and further we will discuss about how to designate it. A single point cutting tool consist Flank, face, cutting edge, nose, rack angle, clearance angle, cutting edge angle etc. All of these parts control the cutting condition, tool life and cutting speed of tool. These parts describe as follow. The main body of the tool is known as shank. It is the backward part of tool which is hold by tool post. 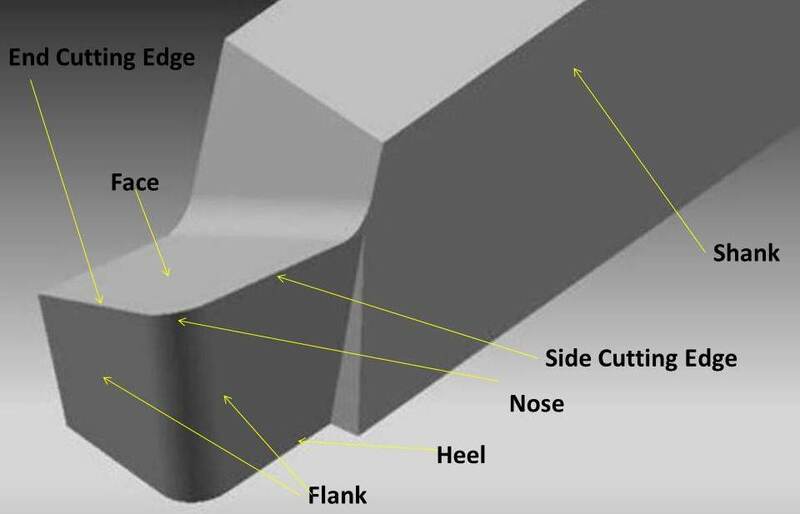 The top surface tool on which chips passes after cutting is known as face. It is the horizontal surface adjacent of cutting edges. Sometime flank is also known as cutting face. It is the vertical surface adjacent to cutting edge. According to cutting edge, there are two flank side flank and end flank. The point where both cutting edge meets known as cutting point or nose. It is front of the tool. The bottom surface of tool is known as base. It is just opposite surface of face. It is a intersecting line of face and base. 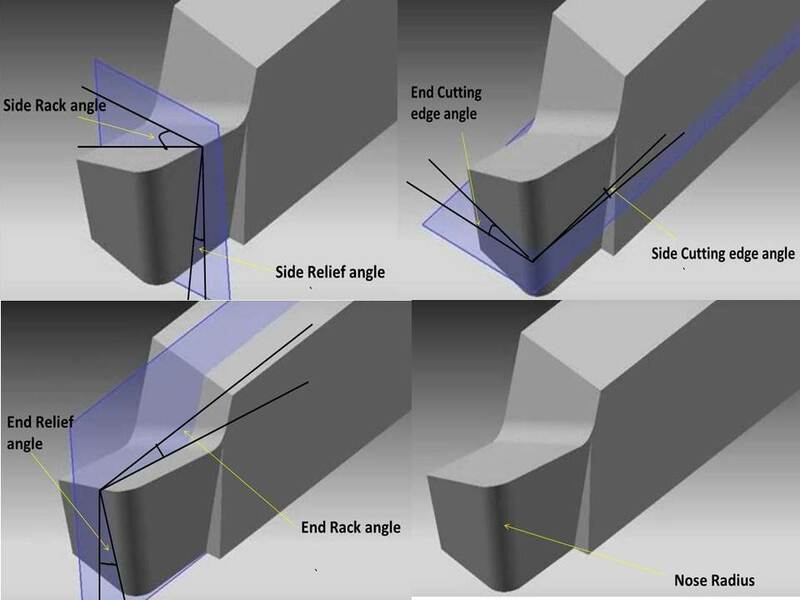 The angle between end cutting edge or flank to the plane perpendicular to the side of shank is known as end cutting angle. The angle between the side cutting edge or flank to the plane parallel to the side of the shank known as side cutting edge angle. The angle form to smooth flowing of chips from face, known as rack angle. It allows to smooth flow of chips. Back rack angle is the angle between face and the plane perpendicular to the end cutting edge. The angle between the face and plane perpendicular to the side cutting edge is known as side rack angle. It allows chips to flow smoothly when material cut by side cutting edge. It is also known as clearance angle. It is the angle which avoids tool wear. It avoid the rubbing of flank with work piece. End cutting angle made by end flank to the plane perpendicular to base. It is the angle made by the side flank to the plane perpendicular to the base. It avoid rubbing of side flank with work piece. The intersecting area of both cutting edges is known as nose of the tool. It does not have a sharp profile. Sharp profile may cause scratches on work piece which gives poor surface finish. To avoid this and obtain good surface finish this area is at some radius known as nose radius. If the radius is too small is gives poor surface finish and if it is too large gives poor For better understanding watch the video given below. 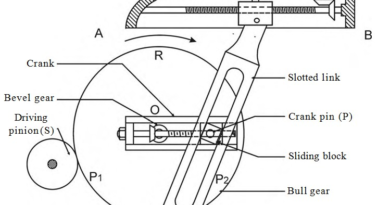 These parameters are internationally used to signature of a single point tool. Today we have learned about single point cutting tool nomenclature, angle, geometry and signature. If you have any query regarding this article, ask by commenting. If you like this article, don’t forget to share it on social networks. Subscribe our website for more informative articles. Thanks for reading it.